Joomla Hosting Reviews talks with Marketing Manager, Jason McVearry, about hosting a Joomla website at Media Temple. Jason answers questions about the history, what plans they offer, how Joomla works on their servers and more. Joomla Hosting Reviews had a chance to talk with Jason McVearry, Marketing Manager at Media Temple about their history, technology in web hosting, and their future plans. What is the history of Media Temple. When and why was it established? What were the goals of the company when it first started? Media Temple was established in 1998 like many internet start ups, in the CEO's apartment in Los Angeles. 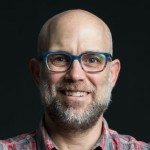 Demian Sellfors, Media Temple Founder and CEO, leveraged a background in IT and some risk to provide hosting service for the few people who understood the web, before the CMS made the web approachable. In my opinion, the interesting part of the story was Demian’s insight into the power of the web designer. Hosting sites for associates and friends in the web community, Demian was immersed in the emerging web design world. Building relationships and a reputation with the community that invested substantial time and energy into making their sites was a natural inroad to building Media Temple. This community also served/serves as a core feedback channel, helping (mt) innovate and compete. From that time on, Media Temple continued to grow as a premium hosting partner, developing technologies and processes to meet the ever changing demand of the modern web. Today we’re one of the most successful hosting companies based on the west coast with over 120,000 customers in multiple verticals. What is the Media Temple Corporate Culture? How many employees? What is a typical day like? (mt)’s culture revolves around experience. As a corporation, (mt) strives to deliver an excellent experience to clients and employees. Encouraging creativity and promoting opportunity and growth within the organization, our employees are driven to constantly find ways to improve customer experience, which explains our reputation for over-the-top support. We have 190 employees, most based in Los Angeles with satellites in NYC and Portland. A typical day for all employees will include small group discussion and problem solving sessions, client interaction (obviously) and cross departmental collaboration sessions. All departments at (mt), including customer experience (or support) are broken into smaller teams to tackle projects and support in a lean, efficient style. How is Media Temple involved with the Joomla community? What steps are taken to ensure Joomla runs well on your servers? The most important thing we’re doing to ensure a great Joomla experience is beta testing a new platform, currently called Appsite, that ships with Joomla as a one-click app. Appsite is built to deliver a worry free, pre-tuned environment for people running apps like Joomla, Wordpress or Drupal. What sets Media Temple apart from the other hosting companies? Our premium support and service. Our commitment to transparency and open communication. Our dedication to the communities that support us. Our commitment to delivering an experience that enhances our clients’ businesses. What is something interesting most do not know about Media Temple? In a market saturated with SEO-optimized, Google adword leveraged sites, (mt)’s ad budget is minuscule where we prefer to invest in community driven events and organizations like jQuery, the Web Standards Project, Future Insights, and tons of other great open source projects and organizations.We've grown primarily through organic Word of Mouth, which is a rare thing in hosting. Thanks for talking with us Jason, we hope to hear from you again soon.